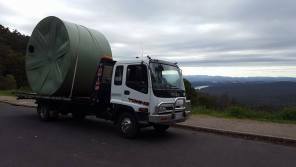 Yarra Ranges Towing proudly offer long distance towing service to people in Melbourne. If you need towing assistance that goes the distance (up to 250 km), you can count on us fully. When you have to transport your vehicle from point A to point B, we’re here to accommodate your requests. Our long distance towing service can be beneficial for people who are moving to or from relatively faraway locations in Victoria.